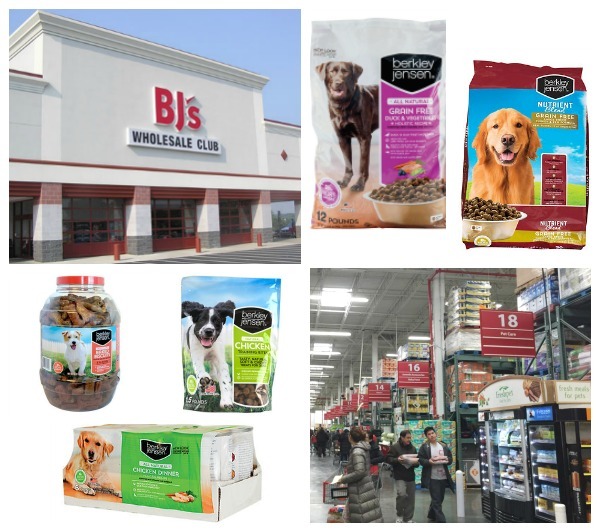 Savvy moms and dads already know that wholesale clubs are convenient and a real money-saver when it comes to buying grocery items, gas and home goods, but what you might not know is that BJ’s Wholesale Club also offers products that help us take care of some very special family members…our pets! 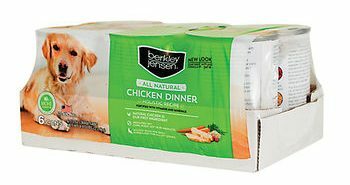 BJ’s recently sponsored an exciting giveaway for our readers, and since there was quite a bit of interest, we thought we’d tell you more about the exclusive Berkley Jensen line of pet food and treats, available only at BJ’s Wholesale Club locations. 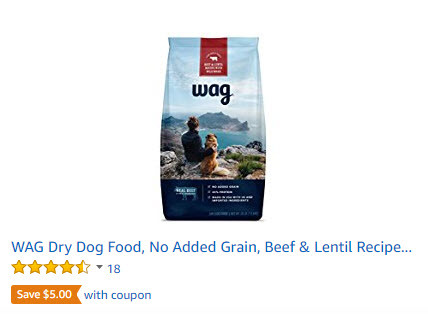 This premium dog food gets a 5-Star rating from DogFoodAdvisor.com and duck is the first ingredient in this all natural recipe, ensuring dogs receive the protein they need with no fillers or by-products. 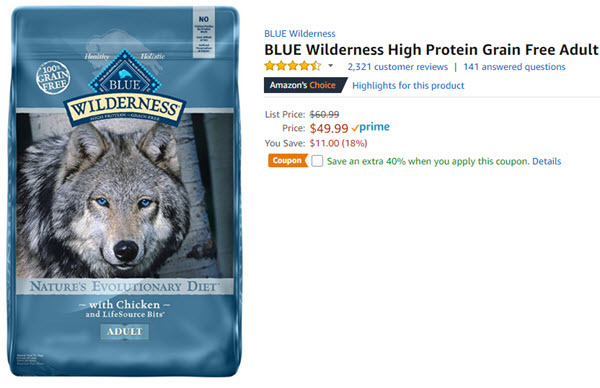 We love that the holistic recipe is fully-balanced, providing complete nutrition focused on canine’s needs. 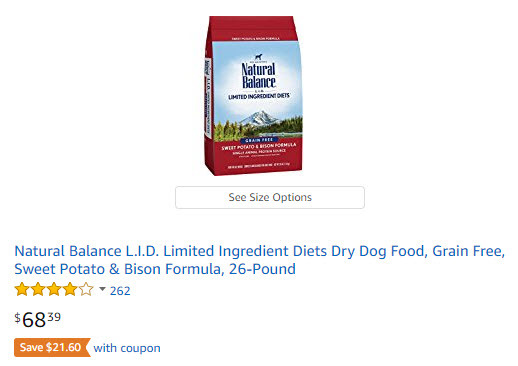 If you’ve got a large breed dog, you know they have specific nutritional needs, and this dry dog food was designed especially with big dogs in mind. It starts with real turkey as the first ingredient to ensure dogs receive the key amino acids they need to thrive. The recipe contains absolutely no corn, wheat or soy to create a nutrient rich-recipe packed with usable proteins for your dog. These ingredients are mixed with fruits and vegetables like blueberries and spinach to provide a complete nutrient profile to ensure overall health and well being. 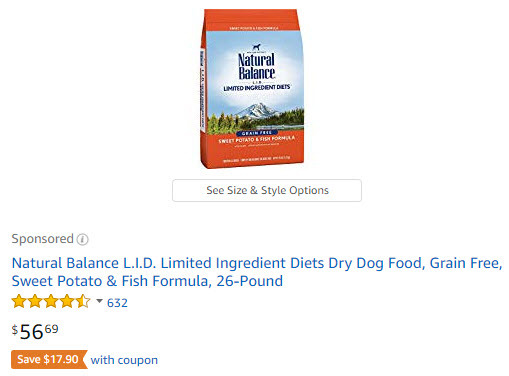 Lastly, a unique nutrient blend of key vitamins, minerals and anti-oxidants is added to ensure your dog is healthy on the inside and radiant looking on the outside. 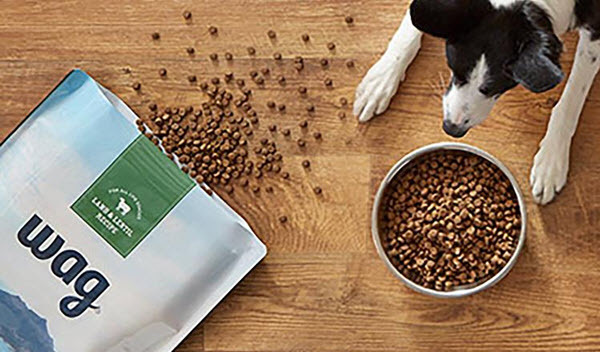 Canned dog food can be a great way to add texture and flavor to your dog’s feeding routine. We like that this super premium holistic recipe contains bsolutely no corn, wheat, soy or by-products. 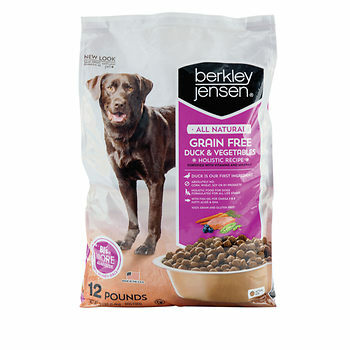 As with all Berkley Jensen pet food, it comes with a 100% money-back guarantee, so you can try it risk-free. 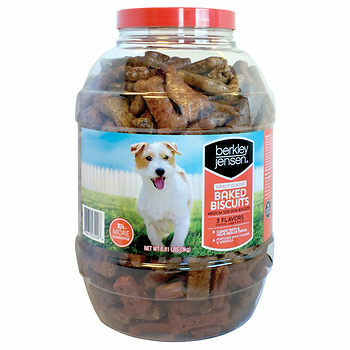 These aren’t just any ordinary dog biscuits, these are 6.6 lbs of premium, gravy coated dog treats in three flavors: chicken, bacon and lamb. 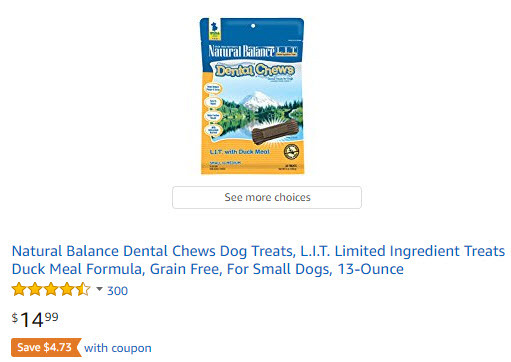 In addition to being a tasty treat, they’re also fortified with vitamins and minerals, and they help reduce tartar and clean your dog’s teeth while they chew. 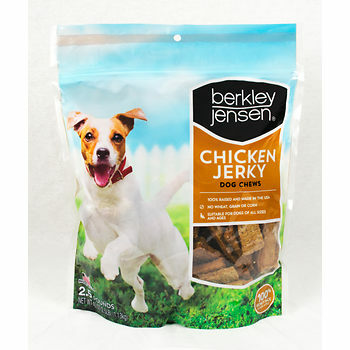 If you treat your dog to chicken jerky, you should be aware of how and where the treats are made. These are 100% raised and made in the USA. Cooked on open grilling racks to reduce fat and give them a delicious flavor, these treats are made for dogs of all sizes. 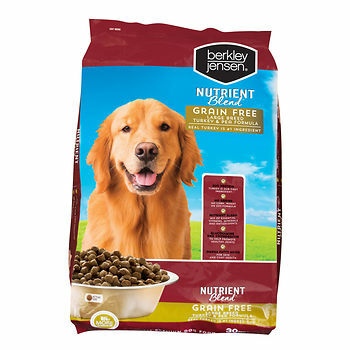 In addition to their exclusive line of Berkley and Jensen pet food and treats, BJ’s also carries a wide variety of pet products including flea and tick prevention, accessories, dog beds and crates, plus pet travel gear and more. To find out about locations and membership options, visit BJs.com for more info. Dog lovers, don’t miss this chance to snag a sampler box of dog food and treats for your fur kid. 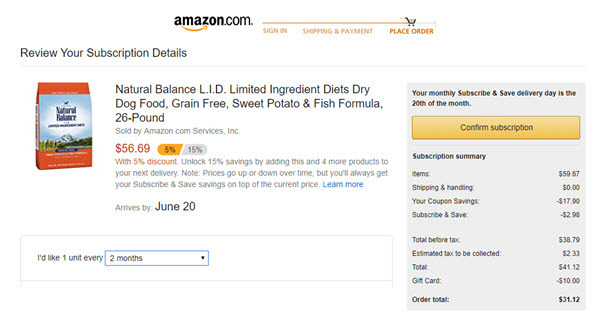 As with all the Amazon Sample Boxes, this one is FREE after credit for Prime Members. Order the Dog Sample Box for $11.99 including free shipping. Each box contains 6 or more samples from participating brands. Get a credit for $11.99 to spend on a full-size version of any of the featured products. 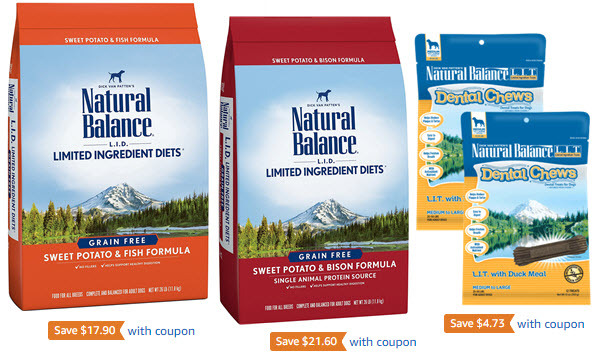 Items featured in the sample box include Natural Balance, The Honest Company, Blue Buffalo, Nutro and more top pet brands. 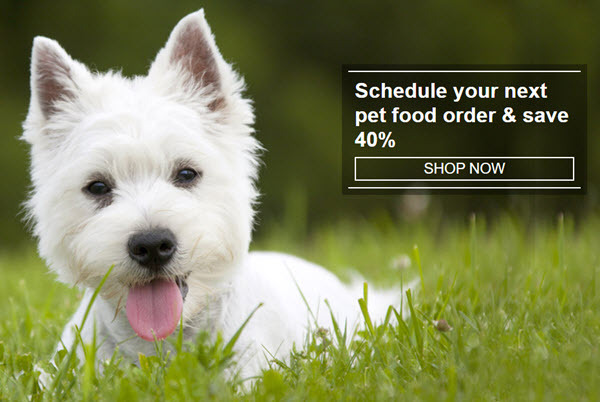 Visit this page for more details and to order your Dog Food and Treats Sample Box. Based on past experience, these will sell out quickly. Limit one per customer, and must be an Amazon Prime Member. Not a Prime Member? Not a problem! 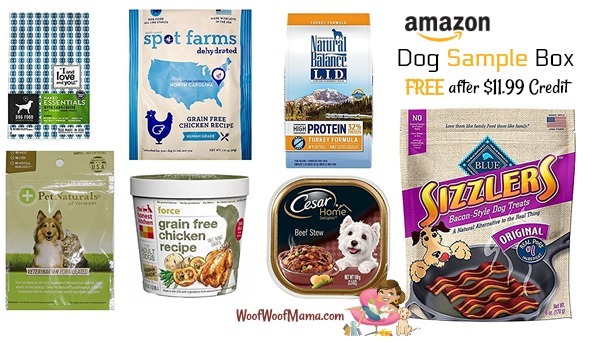 Try Amazon Prime 30-Day Free Trial !